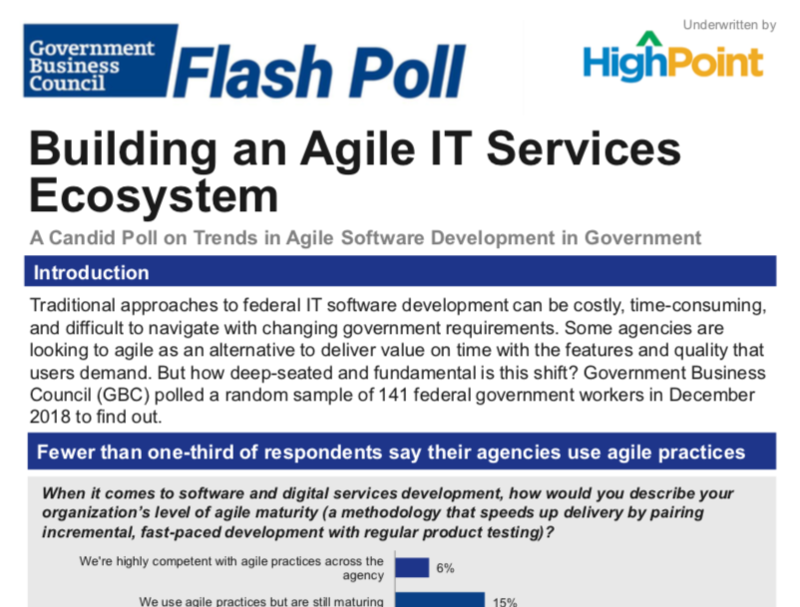 Traditional approaches to federal IT software development can be costly, time-consuming, and difficult to navigate with changing government requirements. Some agencies are looking to agile as an alternative to deliver value on time with the features and quality that users demand. But how deep-seated and fundamental is this shift? Government Business Council (GBC) polled a random sample of 141 federal government workers in December 2018 to find out.